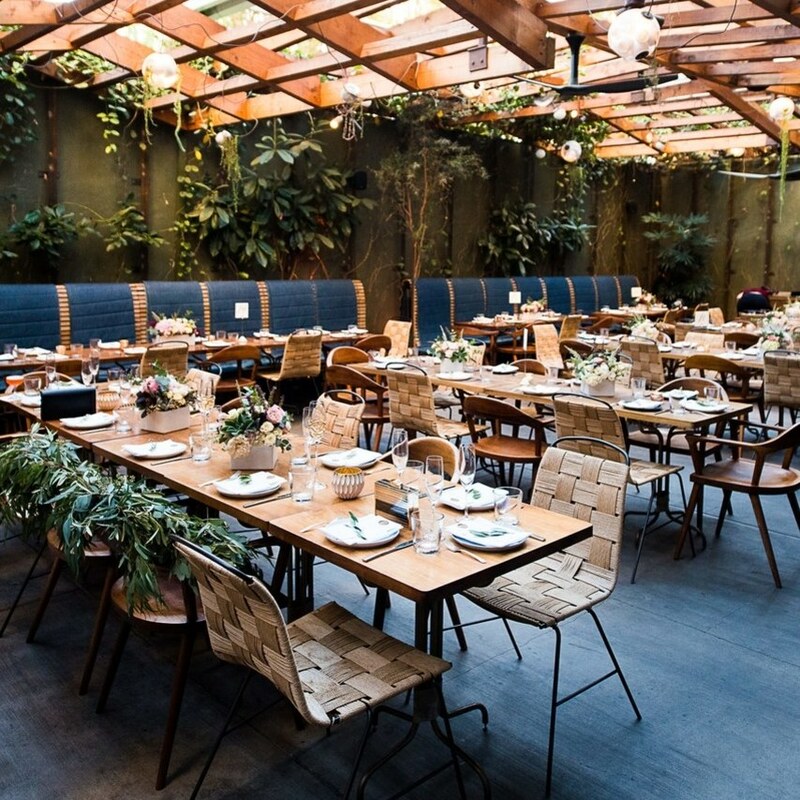 Installations are big, (well, perhaps not as big as Kimye’s flower wall) and they’ve moved above and beyond the traditional floral wedding arch and vases on the table. Flowers now hang over the table, either from the ceiling, from specially erected lighting rigs or from elaborate flower stands. This is where a savvy florist, who knows about the staying power of a hibiscus stem, comes in handy. “It’s about making a statement with florals in a sculptural way,” says wedding planner Erin Lovich of Wonder Events. 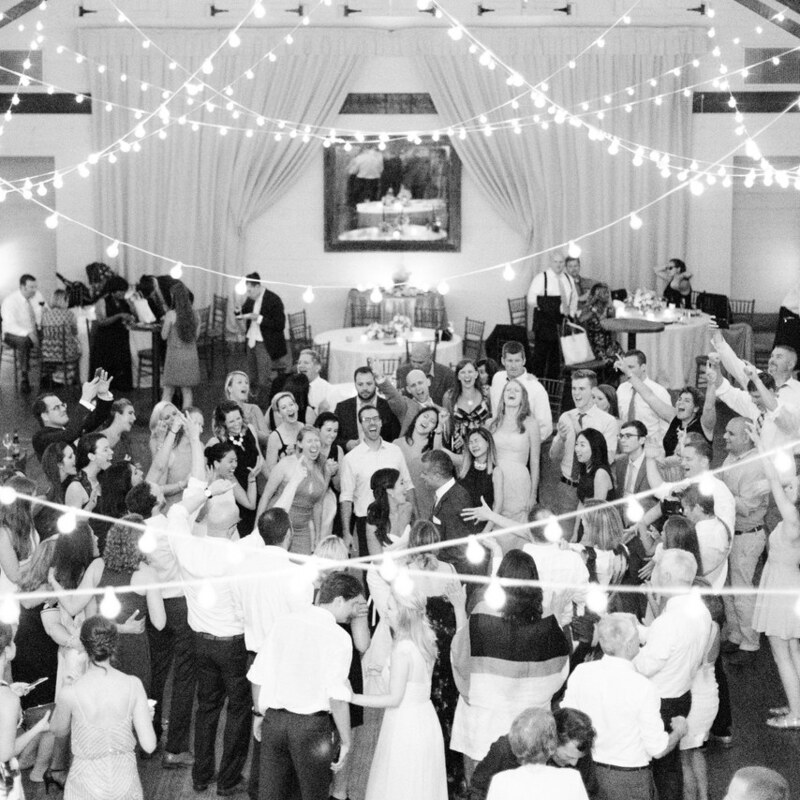 “Festoons have been popular for years but we’re now seeing them intertwined with drapes. We’ve also moved away from bouquets with strictly peonies and roses. 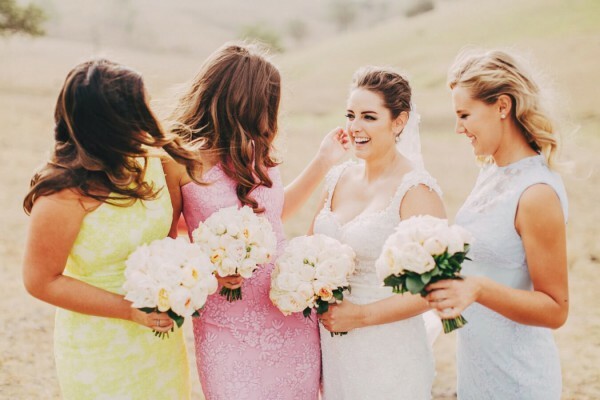 These days it’s just as common to have an abundance of lush greens.” Bouquet-wise, wedding planner Sophia Cohen, of CocoLily Events, says tightly bunched formals are out in favour of flowers that look “a little bit wild, but classically wild; structured flowers that don’t look like they’re structured”. Look in the app store under wedding planners and you’ll be inundated with options that may help the pair of you divvy up roles. Can’t be bothered writing your to-dos? 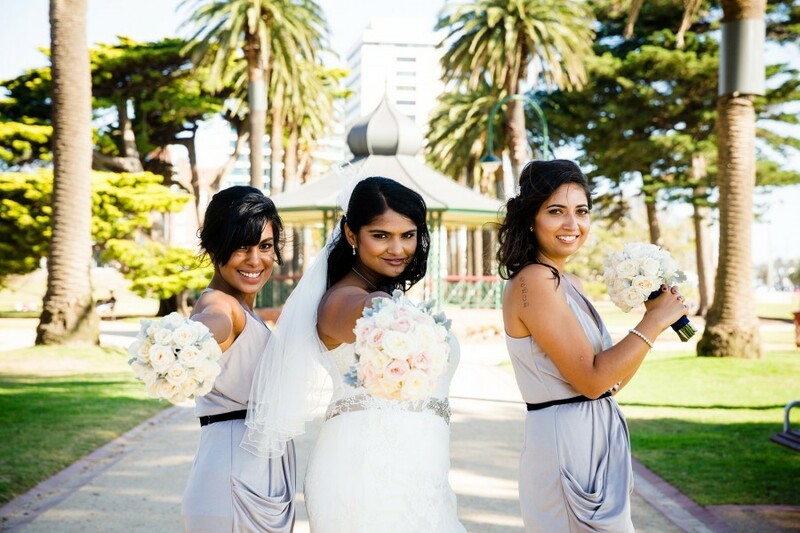 WeddingHappy has a comprehensive checklist. See a flower you want in your bouquet? Snap a picture using LikeThat Garden, and it will identify it. Not sure where to seat Aunty Ange, who no longer speaks to Uncle Mark? Throw away that tedious seating plan and use AllSeated, which allows you to import your contacts and organise them. As if you’re going to wear white/say boring vows/take your shades off for the photos. Your wedding is all about edgy urban touches, which is why you’re turning up to the park in a Mustang, and he’s wearing a fedora. The party? In your own backyard, with a spit-roast and whisky shooters. On a Thursday. Your love for DIY, and your strong sense of individual style have made all this possible, even if it’s caused arguments with your mum, who wanted you to get married in a church. Ssh, that was the hens’ do. 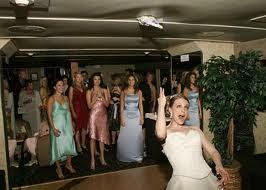 But the bride’s best friends needn’t go down the brights route on the big day. It’s increasingly common to channel Pippa Middleton in a colour scheme not far off the bride’s. Even if you’re not in Instagram, chances are many of your guests will be. Keep track of their photos or videos of your big day by setting up a hashtag — ie, #ChloeTomWaihekeWedding — and asking guests to post to it (minus the blurry ones from later in the evening). Then you can get everything printed out using a company such as Social Print Studio. Stylist / Wonder Events, Picture / Danelle Bohane, Florist / Blush Floral Stylist, Lighting / Light Letters. That might mean engraving the ring with a message or initials, or opting for alternative diamond tones, such as champagne, black or yellow. It’s perfectly acceptable to mix colours, too, says Sarah. It’s most famously used in cartoons, but stop motion has become increasingly popular for wedding videos, not only because it helps to tell the story of your day succinctly, but also because it looks hella stylish. The eating-out trend for sharing plates has spilled over into weddings. But it’s not so much buffet style as it is grazing platters, and even food trucks taking precedence over the formal three-course meal. Modern brides are forgoing fondant for natural or “semi-naked” cakes, minimally iced so you can see the layers.